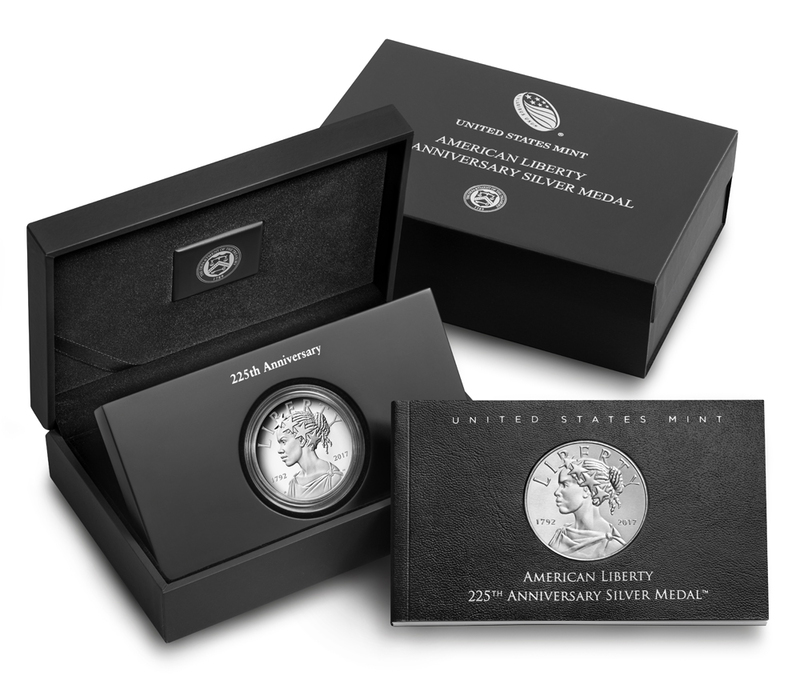 WASHINGTON – The United States Mint (Mint) will make available for purchase the American Liberty 225th Anniversary Silver Medal™ (product code 17XB) on June 14 at noon Eastern Time (ET). The American Liberty 225th Anniversary Silver Medal is priced at $59.95. Orders will be accepted at the Mint’s online catalog and at 1-800-USA-MINT (872-6468). Hearing- and speech-impaired customers with TTY equipment may order at 1-888-321-MINT. Visit us online to learn more about our shipping options.